While Nokia is trying to flood the market with mid range music phones, Motorola is going the economy way- by introducing entry level handsets like the Motoyuva W270 that cost little but that also feature a built-in music player, memory expandability and FM Radio. Users are advised to keep their expectations low as this phone does have certain reliability issues. Rest assured they�re getting their money�s worth- but since the price is little, that�s not a lot. 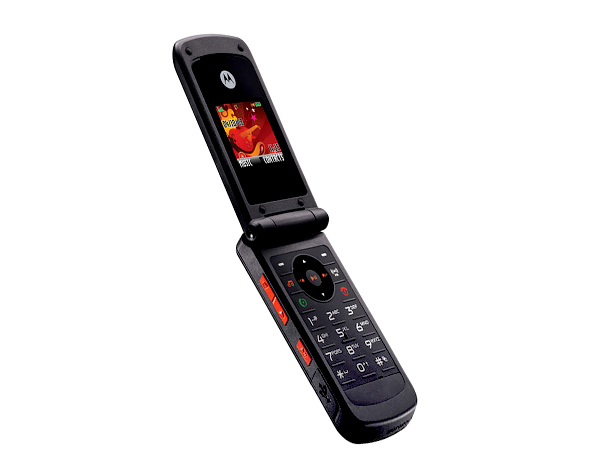 The Motorola Motoyuva borrows design cues from Motorola's stylish RAZR series. But if style is also a reflection of the quality of the materials used, then this phone is far from stylish. Granted there's nice glossy plastic on the front and back. But the plastics on the rest of the phone's form-factor look downright cheap. A virtue of this grade of plastic is that it's robust and can withstand heavy damage. 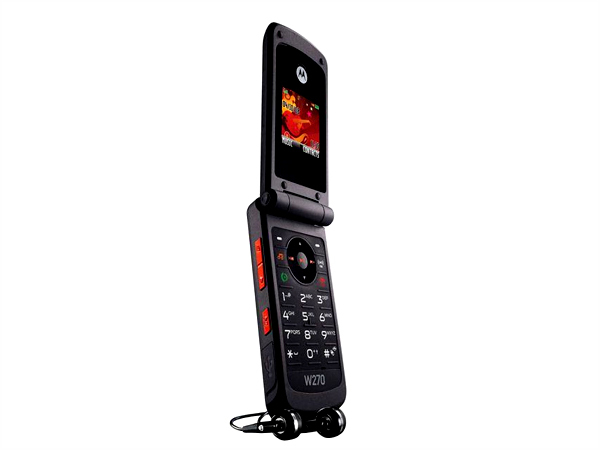 Unlike RAZR phones, the W270 is not really slim but the wedge-shape saves it from being a complete style-disaster and gives it a whole lot of attitude. On the glossy front is a secondary display that indicates three events; a green logo for missed calls, a blue logo for unread messages and an orange one to indicate battery life. Below this is a nice handsome Motorola symbol. Flipping the phone up reveals a startlingly small display and the keypad below it. The display is a CSTN that measures 1.6-inches diagonally. It's the same 128 x 128 resolution display that's seen on other entry level Motorola handsets. CSTNs are the cheapest colour displays available today but they're also very efficient and consume less power when compared to the better quality and widely used TFT displays. Now, what makes this display look smaller than it really is the fact that it only occupies a small portion of the top half of the phone's chassis. This makes the phone look very cheap and uninspiring but Motorola have done their best to counter that with yet another Motorola logo top of the display and surrounding black glossy plastic. The bottom half of the phone's chassis is where the D-pad and alphanumeric keypad lies. The D-pad has dedicated music icons along its navigational wheel and confirming centre. The soft keys also include dedicated music-player and FM Radio launch keys. As for the alphanumeric aspect of the keypad, it is completely un-text friendly because of its flat design and the short keystroke. As a consolation, the keypad has ridges that offer some sort of touch orientation. 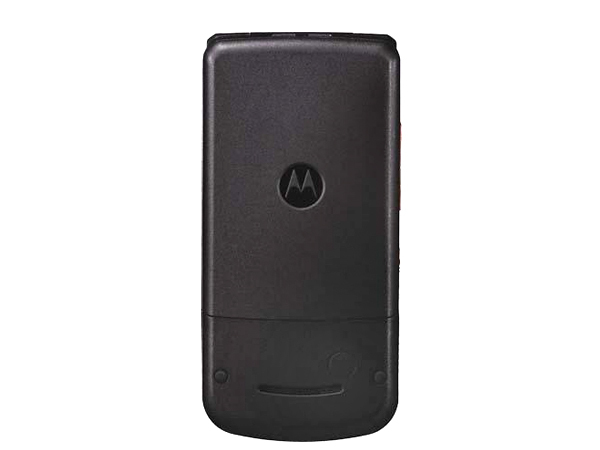 To the left of the phone is a dedicated music launch key that goes to affirm Motorola's seriousness of the music capabilities of this basic phone. The phone's user-interface is simple and is built keeping in mind people who are first time users or who have a hard time operating cell phone menus. The UI is slow sometimes and freezes occasionally. The UI and the SMS editor offer language support in several languages including seven African and three Latin languages. Support for Hinglish, Tamil, Telugu and Bengali is also available. The phone's telephony is excellent thanks to Motorola's Crystal Talk technology that cuts out unwanted background noise. The loudspeaker is also nice and loud and users may never miss a call again even when the phone rings during traffic or a concert. The phone's USP is of course the music player which plays mp3 digital music and other similar digital formats. Transfer of music into the phone can be done via USB but the process is very slow. A 256MB card ships with the phone which is capable of storing several dozen songs. There is also a built-in FM radio that lets you capture portions of radio broadcast so users can set it as the background music. The sound coming out of the 2.5mm audio port is decent and easily the best for a phone in this price range. The phone is missing a camera in a bid to keep costs down. We welcome this move because basic phones normally incorporate sub-standard cameras whose virtues are as little as their mega-pixels count. 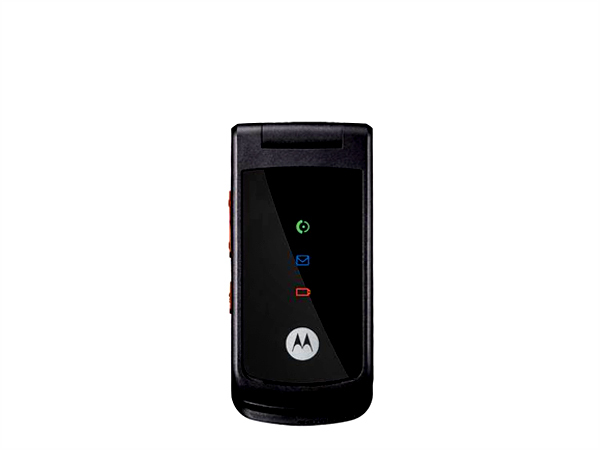 In essence, the Motorola W270 is a phone built for dedicated music aficionados looking for a simple solution. But in our opinion, a few thousand rupees more could get you an excellent Sony Ericsson or Nokia music-oriented phone which will give you unmatched sound quality and other odds and ends such as a halfway-decent camera.